There is no right way, or wrong way to be single. This movie covers a whole raft of single characters on the dating scene in New York and as their paths cross, some get more than they bargained for. It's sweet and funny romcom that's easy to watch and will pass the time nicely. Released in 2016 in cinemas, How To Be Single is a fun rom-com with a great cast. It did well in the cinemas, grossing over $112m worldwide against a budget of $38m. And there's a reason it did well. It's funny, sweet and occasionally poignant and overall is very easy to watch. What's not to like? The story goes that Alice, having had a four year relationship with her boyfriend, decides they needs to take a break. He's lovely, she's lovely but she just wants to experience life as a singleton for a short while. With all the strings cut, Alice, played by Dakota Johnson, starts a new job at a law firm. 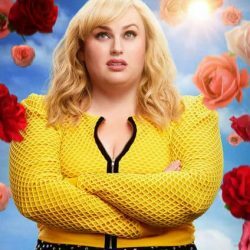 There she meets Robin, played by Rebel Wilson. Robin is very much the free spirit. She is determinedly single, parties constantly and knows all the tricks to having a good time. The two become fast friends with Robin showing Alice what she's been missing. Next we meet Meg who is played by Leslie Mann. Meg is Alice's sister and is a successful but single doctor. Believing her biological clock is fast running out of time, she decides to have a baby via a donor. Soon after getting pregnant, Meg attends a work Christmas party with Alice and promptly starts dating Josh, an office junior. Last but not least we have Lucy, played by Alison Brie from Glow. She is the ultimate desperate single. The kind that has bought the wedding dress but doesn't have a boyfriend! She moves in over head a popular bar which is managed by Tom. Tom is relatively integral to the storyline as he has a brief fling with Alice, is friends with Robin and befriends Lucy – thus tying the three characters together. What follows is the story of how these four very different, yet all single, women cope with modern dating life in New York. Some of the characters have been developed to represent the more extreme ends of singledom (Lucy and Tom). But overall the story of thinking you want one thing, before realising that's not what you want at all, is relatable the world over. How To Be Single is solid, breezy movie about self-discovery and good friendships. It's perfect for a night in and as rom-coms go there are a lot worse out there!